Always-popular Japanese bean paste blends beautifully with classic American vanilla bean ice cream. 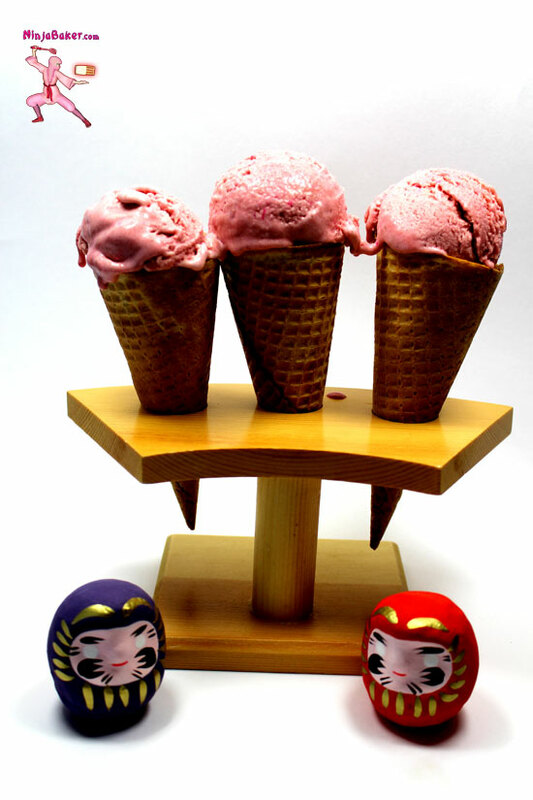 This azuki red bean ice cream bridges the best of Japan and America into one creamy delight. The recipe is inspired by and adapted from Saveur magazine. Get out your sharpest knife. Split the vanilla beans and scrape the insides into a bowl. Add ¼ cup of the sugar along with the vanilla powder. Mix well. Combine the sugar and vanilla mixture with the rest of the ingredients - except the bean paste and food coloring. Whip until slightly custardy and thick. Pour into a container with a tight lid. Refrigerate overnight. Once the bean paste is incorporated into the cream mixture, transfer to a Tupperware bowl (or similar container) and freeze overnight. Have sweet dreams and awaken to a day promising a divine dessert.